It's "Present arms!" for members of the 442nd Combat Team, Japanese-American fighting unit, as they salute their country's flag in a brief review held the day of their arrival at Camp Shelby, Miss. 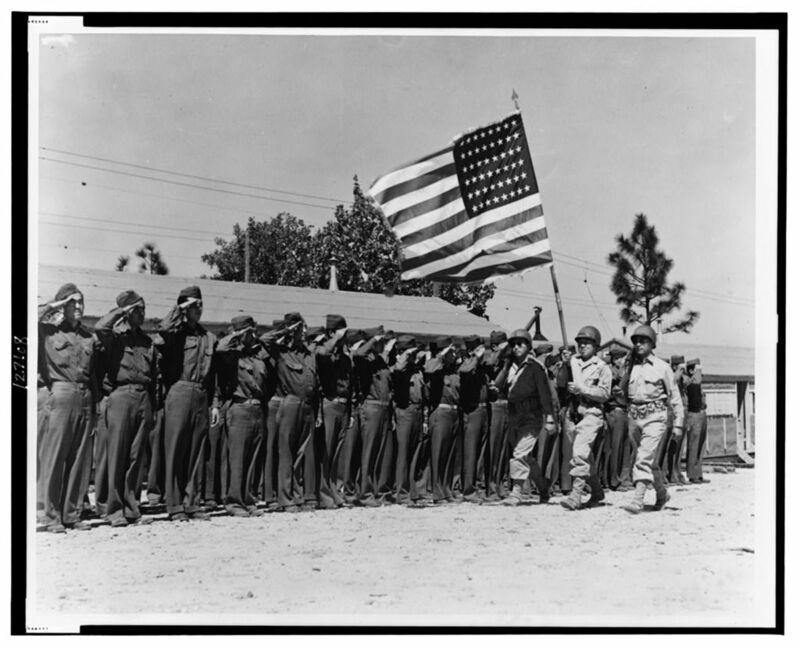 http://www.loc.gov/pictures/item/00652071/, “Japanese American soldiers in training,” USU Digital Exhibits, accessed April 20, 2019, http://exhibits.lib.usu.edu/items/show/18723.